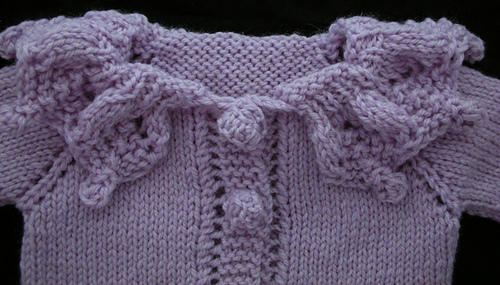 Knit the cutest gift for the next baby shower! 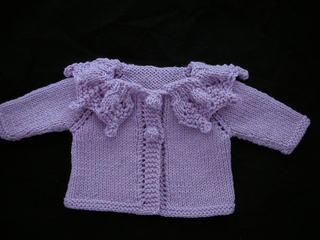 Made in one piece from the top down, this adorable little baby jacket features an oversized collar, eyelet-bordered front bands, and optional handmade knitted buttons. 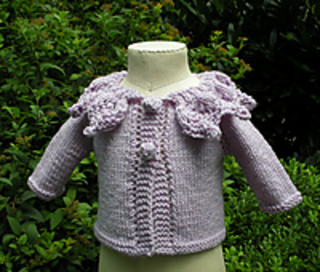 Pattern includes schematic drawing and technical illustrations. 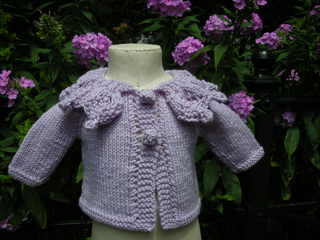 Several of the test knitters concluded that this design is the cutest baby jacket ever!